Even if you don't want a tattoo of your own, you can have a little traditional tattoo styling — paying tribute to your favorite movies! 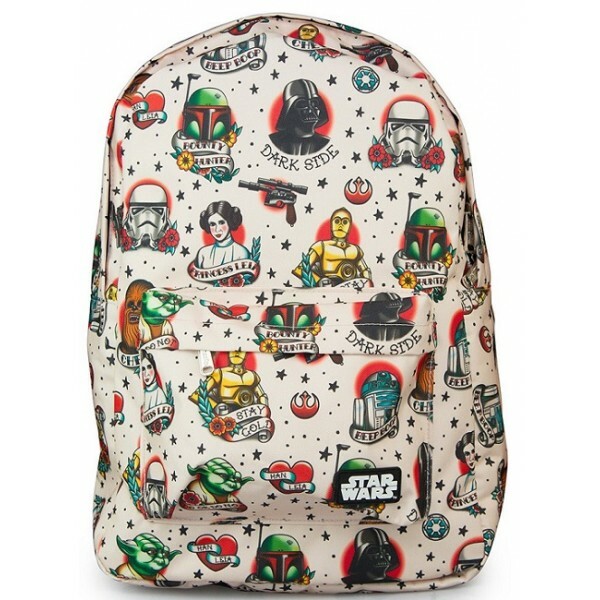 This Star Wars Tattoo backpack features a roomy main compartment and a front zip compartment that is perfect for smaller supplies. At 16 by 12 inches, it's big enough to tote the books you need but compact enough to be comfortable for day to day. 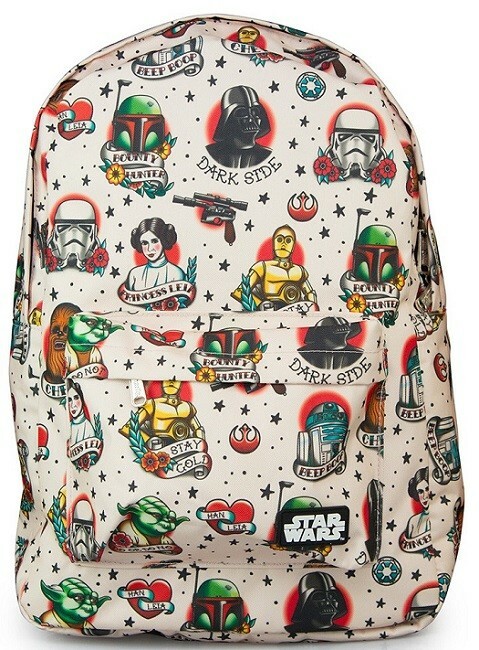 Plus, you'll love seeing your favorite Star Wars characters in this unique print!